We have the latest software for programming and diagnosing all BMWs (up to 2013+). We have many years of BMW-only experience. 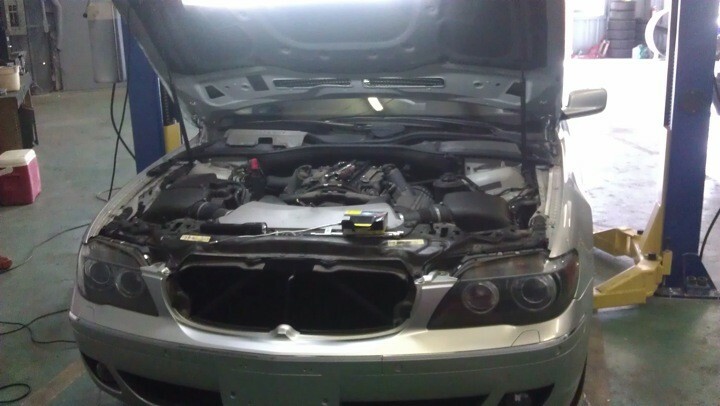 My 5501 2011 BMW had a coolant leak and I took it to Bimmer Tech. Leslie quoted me a fair price and she got it done in a timely manner. 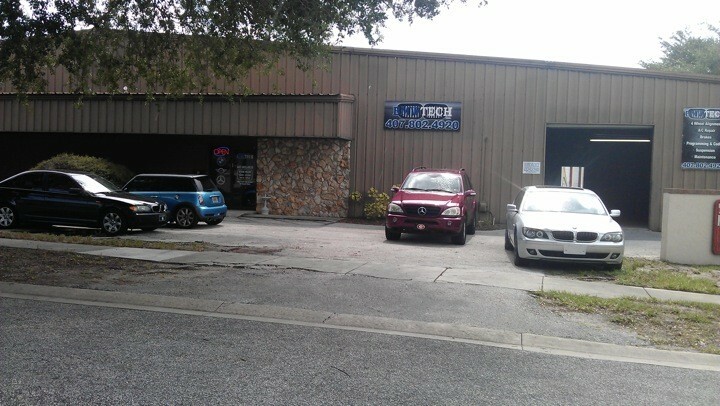 For any BMW owner out there Bimmer Tech in Orlando is the number one place to go. Now I don’t have to worry about adding coolant every day any more. Thank you Leslie and her team! Quick, professional and hassle free. I drove to Orlando for a quick trip, but my car decided it had other ideas when I got here. Bimmertech didn't have any appointments available for the few days I was here, but the staff was awesome and got me in on a cancellation the next day. Super professional and knowledgable. They identified the mysterious problem and had me back on the road the next day for a very fair price. Saved the day and my trip. Highly recommend! I don't even write reviews for people but they’re real good, professional and honest. Just the prices are very high and they take their time doing the job, but I would still recommend them to anybody! Exceptional service! I am new to Orlando and needed a good independent BMW shop for my cars. From the owner Nelson to Leslie at the front desk, to Luis and the other techs in the shop, you will get great service at reasonable prices. Give Nelson and his team at Bimmertech a try, you won’t be disappointed. 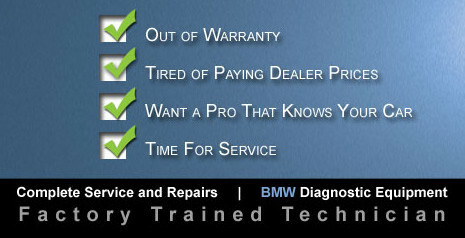 BimmerTech is the most honest and dependable BMW car technicians that have ever worked on my car. Each time I visit for repairs they rise above my expectation with excellent work and integrity. I have nothing but praise for the whole team. Keep up the good work. We have trusted them with all the service and repairs on my car and my wife's for the past 3 years and we have never been disappointed. We would recommend BimmerTech to any BMW owner. Brought my 535i GT twice for service. Oct 18,2018 for wheel alignment and Oct 18,2018 for replacement of LED lights for my license plate. Both times had a great experience. BimmerTech did what they said they were going to do at the price originally quoted and in the time promised. With this kind of service I’ll keep coming back! New to the area. First time my X5 needed repair (AC compressor replacement and driver door latch repair). When the car was brought out front for me, it had a ‘coolant level low’ message and the car was slow to start. The mechanic stated that they serviced the coolant and it should be fine. I re-checked the coolant level when I got home. They overserviced the coolant, as it was extremely high. Called the shop and brought the car back the next day. Spoke with the owner and he checked it out. Stated the expansion tank needed to be replaced;he replaced it that day. When I picked up the car, he stated the battery was bad and that is why it was slow to start. He also stated that he added a spacer to the ground lug. I replaced the battery, and it was still slow to start. Upon further inspection, I found that they left out a ground wire, which could have caused significant damage to the starting system over time. Tried to reach someone at the shop but no one answers the phone and this is why I am leaving this review. Your welcome for the free expansion tank I installed at no charge and for finding out the autozone battery YOU installed had a defective negative terminal.The negative terminal is too thin causing the cable to stay loose,but I remember installing a shim to help secure the battery.By the way there is no such thing as over filling an expansion tank and cause issues,I worked on BMW 16+ yrs and never had a over filling problem. Well crud. On vacation in Orlando and my battery died. Found BimmerTech here and took my BMW to them based on the reviews. They took care of us quickly, fairly, and honestly. The problem is that I want these guys to service my car all the time, but I live 13 hours away! Orlando BMW owners are lucky to have this great shop! Had a rear end clunk and decided to bring it to BimmerTech in Orlando to have it diagnosed. They got me in and out quickly. All staff was very polite and knowledgeable. From my experience they really know what they’re talking about and their prices are very fair. I don’t have anything bad to say about the shop. I recommend anyone with a BMW to give them a shot, they will take care of you. Thank you for everything! BimmerTech does quality work at a reasonable price. Have had to visit the guys a few times in the last few weeks as my car has had a few niggling faults. These guys at BimmerTech are superstars, they give good honest advice on issues and their quality of work is excellent. Nelson has been maintaining my 745 for over ten years, since the warranty expired. I now have 281,000 miles on it with many more to come...I love the car and couldn't be happier with the folks at Nelson's shop. Leslie is a well informed person...I can always go to her for assistance...she knows when to turn it over to Nelson. Anyone with a BMW that doesn't use Nelson is really missing it. I wish there was another shop like BimmerTech for my other vehicles. Absolutely phenomenal experience! 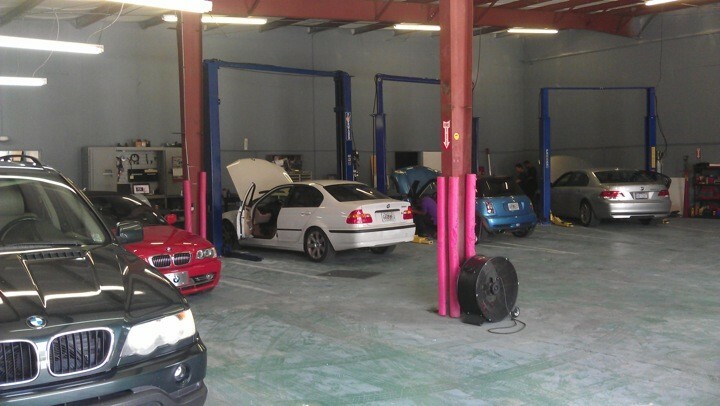 It's hard to find a trustworthy BMW repair shop, but BimmerTech is it. Leslie was very knowledgeable and informative. Thank you to Nelson and the whole team! I have a somewhat rare SSG/SMG transmission that requires a specific bled/adapt program. Earlier this year the clutch was replaced but I have been having slight slipping issues on the new clutch. Lately I have been looking at different shops to get another evaluation on my issue. I came across Bimmertech on a E46 forum. Nelson drove the car, did a checkout on the transmission, and advised me that the clutch was out of tolerance and could not be reset. Being a DIY'er owning and operating an older BMW I was fully prepared to pay for any shop fees as it' comes with the territory of maintaining these cars. We discussed my situation and he completely waived any shop diagnostic fee! Nelson is extremely knowledgeable about the particular transmission on my car which although is a SMG, it's a stripped down early version of the system. He is one of the only shop owners that actually spelled out the individual steps required to properly reset the adaptions. Moving forward, I'll be having Nelson and his techs handle all of my transmission issues. So in closing, all of you SMG "non M" owners out there in central Florida, Bimmertech is the place to go. BimmerTech is a good place to have your vehicle work done, and got my AC done there, pleased with the job. Good shop with great BMW knowledge. I got my center support bearing, flex disc guibo, and transmission mounts changed after getting drive live vibrations at certain speeds. BimmerTech did a great job at a fair price and left over the old parts to see the before and after. Now my car is smooth again. Brought my 550i in to BimmerTech to repair an oil leak. Great customer service and reasonable prices. While I was there, I heard them talking about another customer's car. One of them said that the issue of the customer's car was minor. He said only charge the customer for the part and not to worry about the labor. That showed me that they are out to establish a customer base and not to rip people off. I recommend you at least give them a call if you need work done and see what they can do. What can you say about BimmerTech beside they are fantastic. They are fair and honest, do not let their low prices fool you. They are absolutely honorable and they do a incredible job fixing and maintaining your BMW with no fluff. They only recommend things that your BMW needs to maintain it as the ultimate driving machine. They take pride in their workmanship, their shop, and all aspects of their business. If you need to take your BMW to the shop for any reason from an oil change to you name it, they will treat you with respect. I took my vehicle in for an oil leak, coolant leak and the service engine soon light was on. He was able to repair these issues at a fraction of the cost of the dealer. The dealer misdiagnosed the oil leak. I found that Nelson, at BimmerTech, is honest and explains everything to you and is very fair in his pricing. I plan on purchasing another older BMW in the future because I know I can take it to someone like Nelson that I can trust. My M5 was leaking water in the passenger side foot well. I took it in to BimmerTech and the problem was found to be a clogged drain hose for the air conditioner. Nelson was very helpful with several other questions. I will continue to use BimmerTech whenever possible. This was my first time at BimmerTech. The people were extremely nice and very knowledgeable. They found what was wrong with my car and repaired it the same day at a reasonable cost. I will definitely go back when ever I need repairs. Thank you. Saved over $400 on dealer cost repairs. Wish we had a few of these places in Canada. Easy to talk to explained problem and how was fixed. Helped me out with a spare too, till my rim got fixed. A++++++++! I'll be back to BimmerTech for more work! BimmerTech is the best place I have seen for BMWs. I am very pleased with their professionalism and very impressed with their knowledge about BMWs. My car had more problems after getting it back from another mechanic. They were done with redoing and fixing the problems that the other mechanic had created within a day. They even gave me a ride back. I am a new customer to BimmerTech and I must say I am extremely pleased with their professionalism, knowledge, honesty and mechanical skills. Leslie, the receptionist is very pleasant and intelligent and Nelson and the mechanics are VERY GOOD at fixing BMWs. My experience with the local BMW Dealership was extremely unpleasant and I vowed not to returned to them for anymore repairs. BMWTech is a GODSEND! I have gotten the repairs needed at a much cheaper price. They made one of my repairs for $1,000 less than the local dealership attempted to charge me. I am ecstatic that I've found such great people with high integrity. I am now a lifetime customer of BMWTech! I have owned my BMW from brand new purchased at the local dealership in Orlando. After much disappointment and miss-diagnosis's from the dealership, thank God I found Nelson! His dedication & work ethic supersedes anyone I have ever met in the auto mechanic field. He keeps you informed all the way and truly cares & shows great passion to do a perfect job. He is a genius! He sorted the problem at a very fair price and now I have a "return to factory" great car. I have nothing but praise for Nelson, Lesley & the entire crew at BimmerTech & will always go there in the future. Thank you BimmerTech! There is no better BMW Indy shop in the area....besides my own DIY - no one, but no one except Nelson his team, works on my Z4 or the wife's X3. Honesty, value and personal service. What more could you ask of a business--not much else. Unbelievable service and very fair pricing. I highly recommend BimmerTech. Had an issue with my rear suspension. The dealer wanted an astronomical fee to run diagnostics and replace both rear airbags for the air shock suspension. After getting a quote from the dealer, I found BimmerTech on this site. I brought the vehicle in early Saturday morning and was driving home by the end of the day. They were honest and straightforward, quick and reliable... and the communication was excellent. I could not have had a better experience. They will go the extra mile and their prices are awesome!. Will be back as many times as I need it. Service is 5 stars and the Girls at the office are very polite and professional. Vacationing in Orlando from Canada. After leaving Universal Studios the check coolant light came on....rad leaking. After posting on Bimmerforums.com one of the guys suggested BimmerTech... I called then up and was on my wy after topping up the rad with distilled water. Arrived by 11:00 and the rad replacement was done by 2:15. Wow, so happy I found BimmerTech and Nelson! I have a 2004 330ci SMG convertible. I bought the car from a Daytona dealer only a couple months ago but it was apparent immediately that there were some problems. After taking it to the dealership I had purchased it from it became obvious that they were in the business to sell cars, not to service them. I was having a problem with the SMG transmission giving me errors. I was hoping it was only a sensor but it wasn't. After taking my car to BimmerTech I was informed that the clutch actuator and sensor were bad. Nelson gave me a fair price and I called around to the local dealerships in Orlando to check the price. I felt it was fair because I was able to research how much the part was online if I bought it myself. 3 dealerships quoted me prices at least $500 more than BimmerTech. $500 more! I was thrilled with the job they did on the car and will always bring my car to them to be serviced or other major repairs. Thanks guys, I really appreciate it! I have 07 525I that needed an oil change and a general inspection. BMW Tech was highly recommended from a coworker who is a long time customer. The receptionist, Leslie, was courteous, friendly, very helpful and knowledgeable. I took my car in at noon, received a call an hour later and had my car back at 4:00. With no appointment, I had my engine and differential oils changed, replaced the serpentine belt and replaced the tensioner. This shop has a good reputation and I can see why. I am a true BMW enthusiast. I have been around BMWs (working on, driving, and taking them to the track) for 35 years. I am extremely skeptical about having anyone touch my cars and it is rare at best that I ever have someone other than me perform work on them! So when an occasion presents itself where i have neither the experience, the time or the correct tools to perform a job, I have to succumb to my fears and take it in. I originally chose Bimmer Tech for two reasons. One - they agreed to install parts i had already purchased and two - Nelson talked 'shop' with me. He was not condescending and did not treat me like an idiot. He answered every one of my questions fully and took time to make sure I was satisfied. While I would've preferred to stay in the garage the entire time to watch the guys work, understandably I was not allowed for safety reasons. However, I was escorted out there on two occasions to see that actual problems/work being done with the car. I appreciate that more than they could possibly know. I always want to know exactly what is going on with the vehicle because I am genuinely interested in learning things about the cars that I don't already know....and....I want to make sure the job is getting done correctly. This particular job was a replacement of a wheel bearing/hub, front control arm bushings/ball joints and wishbone replacement on my X5. Overall, I am extremely pleased with the work. The service/friendliness of the receptionist and the crew was fantastic. The time the work took as well as the pricing was better than I figured it would be- perfect scenario. All in all, I am VERY satisfied with my experience and will recommend Bimmer Tech to others. There is absolutely no reason why anyone should pay stealer prices when we have Nelson and his crew. Upfront, Honest, He knows his Bimmers! Don't be fooled by his prices though, check out all of the plaques, achievements awards and certifications! This guy is the real deal...where you live take the drive, the money you save will pay for the gas and more! I drove all the way down from Tallahassee to have these guys service my car. I had a long list of thing to take care of and everything was check and remedies were given for everything. Nelson is an amazing guy and his work ethics are golden. Honest and Truth and Very Reasonable. I might have to make a trip down more than usual. It was well worth it. Was looking for a trustworthy and fairly priced alternative to the dealer. I was very satisfied on both fronts and will not hesitate to return. Nelson at BMW Tech is the best. I took my car into the dealer multiples times and they couldn't find a problem I had. Nelson found it BEFORE he even heard the car -- he guessed what was wrong, then fixed it. Also the price is great -- I keep telling him he needs to charge more because I want to make sure he stays in business! This is a facility that I will recommend to anyone on tight budget. They are upfront, knowledgable, detailed in their exlpinarion and problem solving technique. I brought in my ABS module to be reprogrammed and it turned out to be faulty after spending $ 400 which meant I would have to buy another part.. Nelson ( tech) suggested since the part was under warranty he would not charge me for reprogramming the second unit. It was like a early Christmas gift. He could have charged me a second time to reprogram the unit. He understood and saw how frustrates I was after spending and getting the run around with the company I purchased the module from. A species of homosapiens believed to be extinct. At the start of the 20th century with the dawn of the automobile, there were in fact believed to be several (reproducing...?) species existing, but it was sure that by the 30's they were only a mystery and by the 90's rare and the new millennium, extinct completely. It is a rare thing in a business any business to find an honest business person especially in the automotive field. Honest business people do exist but too often you have search far and wide because the majority of business people are not. It was my good fortune to call Nelson at BMW Tech LLC a few weeks back. My Z4 was at a local BMW dealer who quite was going to take me to the cleaners and also take the sweet time about it. Nelson and his team remedied the problem, kept me me informed, made me feel welcomed at their place of business and fixed my car and at a price point which I still have a surprised emotional responses of "satisfaction." I have two BMWs. And for whatever time they operate in the years ahead, the only place they ever be serviced is by Nelson Aviles at BMW Tech. A smart, caring and honest businessman and his family. A month ago I called and talked to Nelson about getting my BMW brakes done. He quoted me a price and gave me a good deal. I told him I was out of town and would be stopping by to see him when I got back. I asked him would he remember the price he quoted me? He told me he would but of course he did not. I was a little frustrated plus I needed my spark plugs replaced now and I had already budgeted my brakes for the price he quoted me. After reading the other reviews on here I decided that maybe it was a honest mistake and I was sure he probably got countless calls in the last month. When I got there he took care of my brake system, spark plugs and even gave me an awesome price on a new oil change. I was pleased with his work done, his time quote was almost to the minute and him making me feel whole about the whole ordeal is why I will continue to take my car to him and to recommend him to every one of my friends. I saved over $400 just on the brake system alone. The dealer would have charged me almost 3 x's as much! So I am glad that I could take it to Nelson who did great work and all for an unbelievable price! Him and his family were friendly, courteous and professional. Also I was told this was a new location site he was at. I had left my wife and baby at home thinking it might not be enough room for them but it was a very roomy place and I felt comfortable while I waited for my BMW to get fixed. My car is a 2006 BMW 325 I but now I feel like I am riding in a 2011 it was riding so smooth. With a new baby having good quality care done with their safety in mind was important to me. I feel confident and 100 % safe with Nelson work! Nelson is probably the best mechanics I have come to work with. He is honest! He went above and beyond to help me get to the mysterious issue i had with my 328xi without trying to rip me off. One day I came out from Wal-Mart and saw a business card attached to my window. I really did not pay attention to it until my husband asked me about it. I ended up calling just out of courisity and I think it was the best thing I have ever done. Their service, price rates, and knowledge of bimmers tops off the dealer and any other technical place in the area. Their accuracy and time frame is great. Nelson is a very honest, smart, caring of customers concerns and respectful person. I ABSOLUTELY recommend BMW TECH to everybody. Im 200% satifies. Keep up the good work Nelson!! I am very pleased with Nelsons work and knowledge of BMWs. Honesty is key when your car is being serviced and we are at the mercy of the techs. I would recommend Nelson to any person who has a BMW and is tired of getting ripped off by dealers or other mechanics. Thank you Nelson for great service and youry tech for as long as I drive a BMW. Nelson rocks! Get your Bimmer problems off your backs. He's the tech you're looking for. Way to go, Nelson. Nelson, the owner of BMW Tech, knows everything about Bimmers. His enthusiasm for cars is obvious and it shows in his work. I had a problem with rough idling, and the dealer could not figure it out after many visits. As far as I'm concerned, the dealer was more interested in fixing my wallet than my car. As soon as I described my symptoms to Nelson, he immediately diagnosed the problem and then hooked the car up to his machine, which confirmed his hunch. He didn't charge me for this diagnosis and even gave me a printout, something that would have cost me $ at the dealer. There was no pressure to do the work. He dropped me off and picked me up at my office personally. All I can say is you have to be nuts to take your BMW anywhere else for service. If you're within a one hour ride from his shop, the money you save will be well worth the drive. So, I took '04 X3 to the local BMW dealership when my "check engine soon light" came on AGAIN, and got a call saying that the repair would be about $480, before tax. I had just spent $1800 six weeks earlier at the dealership, and told them not to do anything, that I'd call back. I started searching the internet and found all of these great comments about Nelson. The long and short of it is that Nelson repaired my car for less than half of what the dealership quoted. Nelson impressed me with his attention to my concerns and full explanation of the repairs and necessary parts. I'll definitely return to BMW Tech. I have known Nelson since the days he did mobile repairs and then at his little workshop in Kissimmee. Great, honest guy with very reasonable pricess and real good knowledge in BMWs. I would recommend him without any hesitation. Keep up with your good work Nelson!! I have only had one experience with this shop, but it was a good one. Nelson and his staff understand what customer service is, and don't treat you like they are too busy to help like so many of the service people at the BMW dealerships I have been to. They do a great job communicating with their customers and allowing the customer to make an educated decision for the repairs. The guys are great,i have a 2002 325 convertble that fields diagnosed for over $3000 to repair.Nelson performed the repair for $1395.77 and gave me a free oil change.I rather buy a used bmw to repair knowing bmwtech is around,repairs will be much cheap than in my area Dr.Phillips. Very happy with Nelson and BMW TECH llc. Brought my wife's X5 in to have the axle repaired and replaced and he did a great job. Very happy, will bring my vehicles back anytime. This week I brought my 2001 BMW 325 convertible to BMW Tech LLC in Orlando for a number of long-overdue repairs and adjustments. It is a small shop located off of Orange Blossom Trail just south of the BMW dealership. The service is amazing; the prices are fair and the owner/technician who worked on my car is about as honest and forthright as I've ever experienced. I wholeheartedly recommend BMW Tech LCC for anyone who needs BMW service or BMW repair in the Orlando area. I own a 2001 BMW 325 convertible that is long out of warranty and is frankly starting to wear out a little. I'm probably not the best owner in the world -- it's probably been two years since I brought my car in for a check-up, and the display panel has been gradually filling with more and more lights. But there aren't a lot of BMW service options here in the Orlando, Florida and it seems like every time I bring my car to the BMW dealer for service they charge me an insane amount despite the fact that don't seem to do very good work. In my mind, visiting the local BMW dealership for service has come to feel a little like going to the dentist and I was starting to think that maybe I just wasn't the right type of person to own a BMW. That was until I found Nelson Aviles and BMW Tech LLC. Nelson doesn't have a big garage with lots of BMW technicians. In fact, it isn't even in it's own building -- it's just one bay in a row of several bays and I had to struggle to find it when I first got there. The general location is easy enough to get to -- right on Orange Blossom Trail across from the CostCo and perhaps half a mile south of the regular BMW dealership. I live in South Orlando, and it's probably about as convenient a location as you are ever going to find. There is no big sign -- you need to know the address, and even then you have to drive into the back to find it (it's behind the Goodyear -- although don't drive into the Goodyear lot -- go next door and you'll see a bunch of businesses in the back. Nelson's place is all the way at the end). There is a small office next to the garage manned by just one woman who welcomed me and offered me a fresh donut from a full box of Krispy Kremes sitting on her desk. She had me fill out a quick form, and then went to get Nelson who was working in the adjacent garage. He offered me a donut too. We chatted for a few minutes, he told me about his background, and how he had started doing mobile work (going to people's houses look at their cars) and then how his success had led him first to a location in Kissemmee and then to his current location. We talked about the various issues with my car and went outside to take a look. He was very friendly and very personable. Nelson asked whether I planned to wait for the car to be ready or whether I intended to leave it. I told him that I had a ride and that I was ready to leave it (but points to Nelson for giving me the option!). I left my phone number and keys and waited to hear back. Nelson called later in the day with the results of the diagnostic. He described several issues he had found with the car (mostly related to items I had told him about). He was very frank and straightforward about which items probably needed to be done right away (oil change, brake light replacement, and a couple of other items I don't remember) but was also very clear about items which could wait. One of the issues with my car had been that there was a leak in the roof (it's a convertible) right at the edge of the window -- he told me what my options would be to fix it, but said he would see what he could do to adjust it so we could see if it fixed the problem without the need for the full part replacement. For one item, he indicated that it might not even be broken -- apparently the BMW dealership who had serviced my car most recently had overfilled the oil by about a quart and it might have been causing issues that were setting off sensors. He removed the oil and fixed the problem and said that rather than buying a new sensor now, we should wait a bit and see if fixing the oil level solved the problem. The point of all this is that Nelson was very respectful my car, my time, and the fact that I didn't have a million dollars to spend on a car that was almost a decade old. He gave me good, fair honest options and he wasn't at all pushy. He even suggested items that could wait until my next visit. The total he quoted sounded fine, and I gave him the go-ahead to do the work. He called me back a couple hours later. He had forgotten one of the items I had brought the item in for (actually, it was the main reason I brought the car in -- the air conditioner fan had stopped working). He said that he felt terrible that he had forgotten to put it into the original estimate, and that he was just going to charge me for the park (without the labor!). I said that it wasn't necessary but he insisted. I should also point out that he did all of my various repairs in a day and that I was able to pick my car up the next morning. For those of you who think that is too long, keep in mind my various note that he had offered to do the work while I waited. I don't know how long it would have taken, but as far as I was concerned the work was done as fast as I needed it to be done. He said that the car would be done at 9am, and the car was definitely ready to go when I arrived to pick it up at 10:30am. I had to wait a few minutes for my bill to be organized, but that was OK -- in the midst of it I learned that Nelson had actually charged me LESS than the original quote on one bit of labor and absolutely didn't charge me labor for the item he said he wasn't going to charge me for. I paid, I got my key, and was out of there. One more thing -- before I left, Nelson gave me another copy of his card. He told me that he was closed on Sundays and Mondays, but that if I ever had an issue with my BMW I should send him an e-mail --- even if it was on a Sunday or Monday --- and he would see what he could to do help. I do not know how much I saved. I'm pretty sure it was a lot, and I felt very good about the money that I paid. I felt like I was treated honestly, respectfully, and I haven't experienced such personal, friendly customer service from a car repair place in years -- especially a BMW repair service. I will gladly bring my BMW to Nelson Aviles for repairs in the future, and I most wholeheartedly recommend him to anyone looking for BMW repairs in the Orlando area. Nelson knows alot about BMW,i trust him and recommend him to anyone.I decided to keep my BMW because of him........Dont go to anyone else but BMWTECH llc. Very honest, knows what he is doing, quick but efficient, and his prices are great compared to the dealer. Will recommend ! honest and knows his stuff,like going to dealer without advisor.one on one.